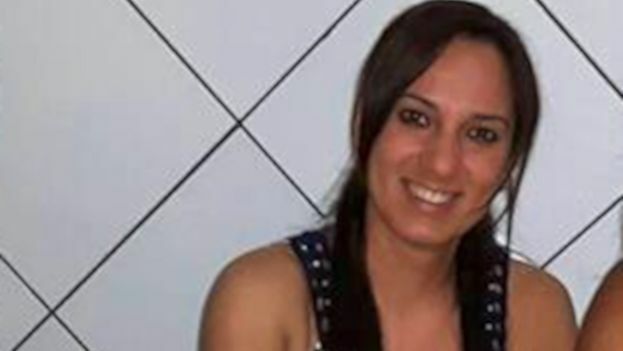 14ymedio, Luz Escobar, Havana, February 10, 2019 — The parents of Laidys Sosa, the Cuban doctor who was murdered last Sunday by her husband in the state of Sao Paulo, traveled this Monday to Brazil to claim custody of the young woman’s baby, as 14ymedio confirmed from sources close to the victim. The doctor, 37, was attacked in the home where the couple lived, in the town of Mauá. According to official sources, her husband, identified as Dailton Gonçalves and of Brazilian nationality, confessed to the crime upon being detained by police. Gonçalves, 45, fled in a vehicle after committing the murder, but he was arrested hours later by authorities on a highway several kilometers from his home. Upon being interrogated he said that he killed his wife by striking her at least 10 times with a screwdriver. The man, who was taking medication for anxiety, said that the murder of his wife had not been a sin, “but rather a sacrifice.” After killing her, he hid the body in a wooded area. The doctor’s parents traveled from Cuba to Brazil to ask for “the custody of the baby and to be able to bring him to the island as quickly as possible,” explained a member of Laidys Sosa’s family, “because this is the most important thing at this time.” Several colleagues and friends “raised funds to pay for the cremation” of Laidys Sosa’s body and several legal matters. The source added that at this time the child is with the doctor’s parents and that on February 18 they have a meeting with a Brazilian judge to resolve the custody of the minor. “The paternal grandparents already signed a legal paper in which they accepted that the maternal grandparents would have custody,” pointed out the source. The Brazilian lawyer André De Santana Correa told 14ymedio that the minor’s maternal grandparents have “every right” to assume custody if becomes impossible for the parents to protect the child. “Without a doubt, it is a very painful case, but the right of family protects them. They are the ones who must protect the minor,” added De Santana Correa, who has several cases related to Cuban doctors in Brazil. “She was a woman who was full of life and very hopeful for her future in Brazil,” a Cuban doctor who preferred to remain anonymous told this newspaper. The doctor, who also lives in the state of Sao Paulo after having decided not to return to Cuba, says that a few weeks ago he exchanged messages via social media with Sosa. Sosa was one of the more than 2,000 doctors who decided not to return to Cuba after Havana’s decision to withdraw from the Mais Médicos program in response to statements from the then-president elect of Brazil. Jair Bolsonaro demanded that the doctors revalidate their titles, be able to bring their family members to that country, and be given their entire salary. The Cuban government was keeping 75% of the $3,300 that Brazil was paying the doctors. Brazil has the seventh highest rate of femicide in the world, with 4.4 murders for every 100,000 women, according to study done in 2012 under the headline Map of Violence. In 2015 the law of femicide went into force, which provides for graver punishments in cases of crimes motivated by “discrimination against the condition of being a woman.” However, despite a greater legal rigor, 4,473 women were murdered in 2017, some 6.5% more than in 2016. Of that total, at least 946 were considered cases of femicide.